Aberdeen Asset Management has announced a number of appointments within its global distribution teams as it expands its global operations, including the opening of a new office in Abu Dhabi. John Campbell will join Aberdeen in early January as global head of strategic clients reporting to Campbell Fleming, global head of distribution, the company said in a statement announcing the appointments and the new offices. Campbell was previously chairman of Scottish Financial Enterprise and has spent the last 16 years at State Street, most recently as business head of global services UK, Middle East and Africa. He was awarded an OBE in 2008 for services to the financial services industry. Jeff Klepacki will also join Aberdeen early in the New Year as head of distribution – Americas reporting to Bev Hendry and Campbell Fleming. Klepacki has a 23-year track record in financial services with previous roles at Capital Group, Delaware Investments and Allianz Global Investors. Separately, Antony John, former chief executive BNP Paribas Investment Partners/FundQuest, and Richard Pursglove, who has held senior distribution roles at a number of companies, will join on a consultancy basis to work with senior management on driving forward Aberdeen’s distribution strategy, the statement added. 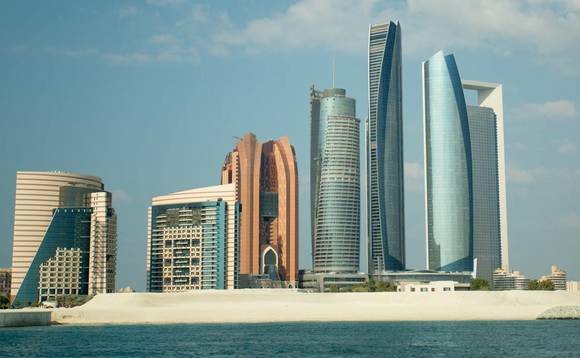 Aberdeen has also announced that it is opening a new office in Abu Dhabi, its first presence in the Middle East region in Abu Dhabi Global Market (ADGM), the international finance centre of Abu Dhabi, on Al Maryah Island, pictured above. Aberdeen is also the first international asset manager registered with ADGM, setting its base within Abu Dhabi’s financial free zone. The opening of the new office sees Andrew Paul appointed as senior executive officer, Aberdeen Asset Management Middle East Limited, alongside Lucy Draper, senior business development manager. Paul joined Aberdeen in 2002 and was most recently head of group strategy in the company’s distribution division. Draper has been at Aberdeen since 2007 and has covered the international markets for seven years. Both have relocated from Aberdeen’s London office and will continue to report to Nigel Norman, head of Middle East & Africa at Aberdeen, who is based in London. HE Ahmed Al Sayegh, chairman of Abu Dhabi Global Market, called Aberdeen’s new office opening a “strong vote of confidence” for ADGM and the region as a whole.